FLV, or Flash video, is a format used to play video and animation online. It originated with Macromedia Flash software, which was acquired by Adobe. YouTube and many other video streaming websites had once adopted FLV as the standard video formats for years. Although FLV has been replaced by HTML 5 gradually, there still are kinds of FLV files on the Web and many people also like to use FLV format to transmit videos on social networks. However, people always meet the FLV incompatibility issue. Q1: When I try and use Windows Media Player to play .flv files I get told the message that the extension is not recognized and the player isn't able to play it. Q2: I'm currently doing Let's Plays and the program I'm using to record does so to .flv files. I do not have any programs that can edit .flv files, or even play them for that matter, and I am sorely in need of one. To play FLV on PC, you need to install third-party tool or codec. Some portable devices don’t support FLV, as well. If you have some FLV files and want to edit them, it’s hard to find a suited editor that allows you to export FLV files. 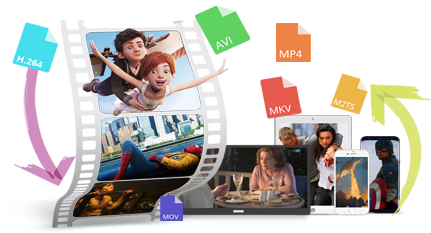 A good solution to solve all the problems above is converting FLV to MP4 format that is one of the most universal video formats. WonderFox Free HD Video Converter Factory is a powerful FLV to MP4 converter freeware. It’s capable of FLV to MP4 conversion without lossing quality. 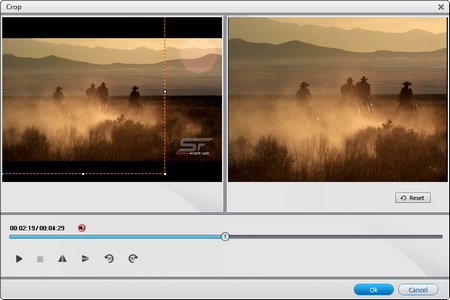 Guess what, the built-in editor also helps you to edit FLV videos by clipping, splitting, merging, etc. WonderFox Free HD Video Converter Factory is designed as an all-in-one free FLV converter to MP4. It’s totally free, clean and no-advertising. 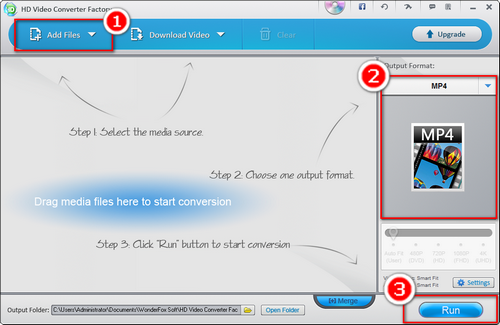 Only three steps, you can convert FLV to MP4, AVI, MKV, MOV and other 300+ formats at fast speed. What’s more, this tool can also handle more other conversion, such as F4V to MP4, MKV to MP4, MP4 to AVI, MP4 to DivX. The following part shows you the steps of how to convert FLV to MP4 free. Before start, please free downloadfree download the software and install it on your Windows PC for preparation. 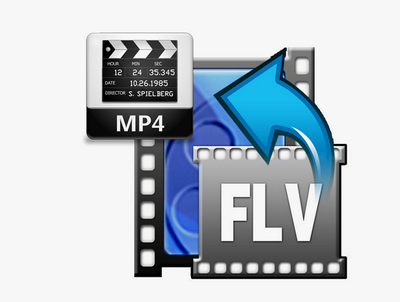 Launch the free FLV to MP4 converter. Drag and Drop FLV files into it. You can also click on “Add Files” to import the targeted files. Click on “Output Format” on the right of interface and select “MP4” profile under “Video” tab. Tips: You can also convert FLV to other format, such FLV to MP3, AVI, MKV, MOV, etc. with the same steps. For advanced user, the option of modifying related parameters like resolution, bit rates, frame rate is also available. After you preset all the options, simply click on “Run” to start the conversion. 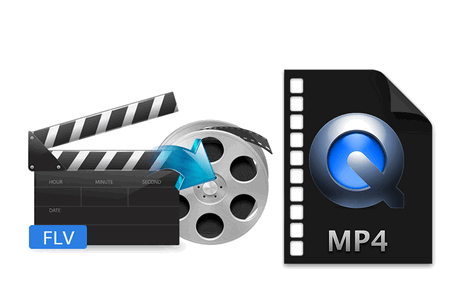 It only takes a few seconds to convert a 35MB FLV video with this FLV to MP4 converter free. If you want to convert FLV files for basic editing, you don’t need to find other editing tools as this FLV to MP4 video converter has a built-in editor that provides basic editing features. More other features are also worth a try. Free download WonderFox Free HD Video Converter Factory to convert your videos! WonderFox HD Video Converter Factory Pro enables you to batch convert FLV files to save time to the utmost and more output formats are also available. If you want to compress video size with high quality or enhance image quality to higher level, this software can meet all your needs.